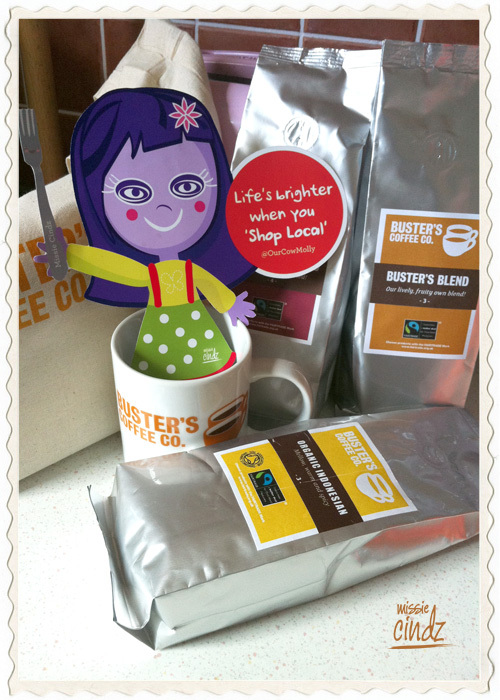 Thanks Sheffield's Busters Coffee – I now have all the caffiene I could ever need to stay full alert! The #MissiesEatSheffieldFoodWeek might be much more difficult and costly to source than if we were to buy from a commercial supermarket but it will be well be worth the effort I say to myself. Let’s see. I’m also making a detailed note of how much everything would cost, it will be interesting to see how much it would cost to Eat Sheffield for a Week – although most of my food for the week has been kindly sponsored for the Challenge but it would still be worthwhile seeing how much all this would cost for a typical individual to eat Sheffield Food for the Week. I think prices are a big factor in getting people to buy more local – people need to be made more aware of the benefits or they won’t be willing to pay more for something they think is just as good at a lower price. Why should I have a Missie badge I hear you ask? Well, apart from these being pretty cool to wear anyway, if you sport a Missie Cindz badge during my Food Challenge Week you’ll be able to receive special offers on foods from my Menu Plan from some Sheffield Food producers and well known Sheffield Restaurants for your participation (it’s a kinda thank you for eating a piece if Sheffield with us). 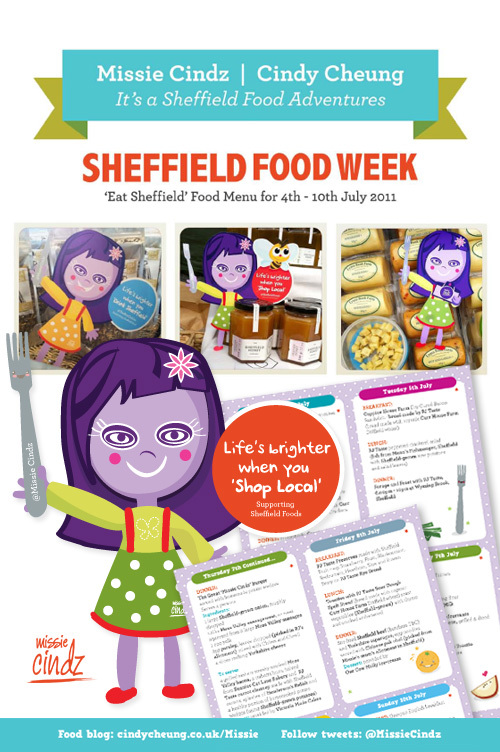 I will be posting up a list of food participants this week so you’ll all know where to go to flash that badge and grab a discount for nomming a slice of Sheffield with Missie! If you are an Sheffield food producer and would like to run a special offer for this week too, then please get in touch by emailing me on hello@cindycheung.co.uk or contact me through twitter: @missiecindz – Look forward to hearing from you all soon. Have a great week everyone! (and don’t forget to keep reading my posts and tweets to the build up of my Food Challenge).